The city of Pune knows us as a legacy with difference in the business of building and construction. We aim to be the most preferred and long cherished brand in this segment. 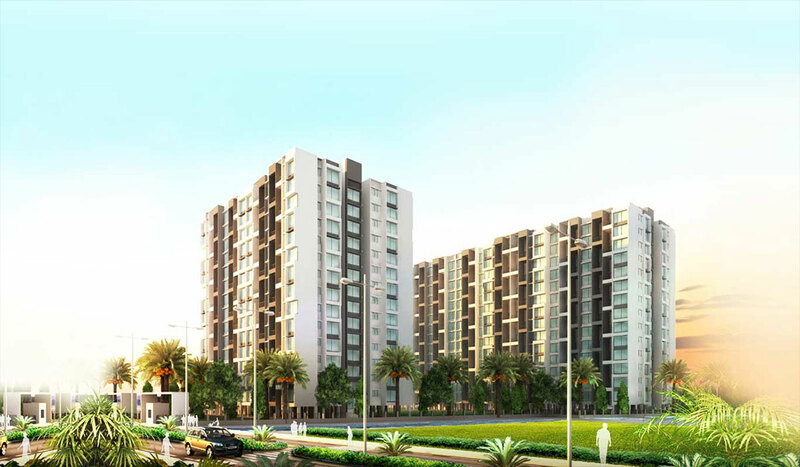 Our projects showcase this unique difference and make us stand stall with exceptional value and attributes.Ganga Aria, is a well designed home in a location that is desirable by many for its convenience to the airport as well as the railway station and the industrial sheds. The 2 BHK apartments at Ganga Aria are created to accommodate all of one's comfort needs. 2' x 2' vitrified flooring in living, kitchen & bedroom. Anti-skid floor tiles in toilet. Designers glazed tiles dado up to Lintel level over kitchen otta. Decorative main entrance doors with safety lock and plate. Internal Flush Doors with Brass / CP fittings. Designer glazed dado tiles up to lintel level with Acrylic False Ceiling. Floor mounted commode with flush tank. Sanitary fittings of reputed make. CP Fittings of Jaguar / Marc or equivalent make. Concealed Plumbing ,Hot & Cold Mixer for Shower. TV & Telephone connection in living and all bedrooms. AC points in all bedroom. Superior acrylic OBD paint for internal walls. Two 8 passenger high speed lifts for the building with generator backup. Video door phone security on entrance door of every apartment. • Anti – termite treatment. • Fire fighting system for each building as per CFO`s norms. • Power back up for common services. • Rain water harvesting System. • Internal paved/tremix road with a combination or paving blocks.